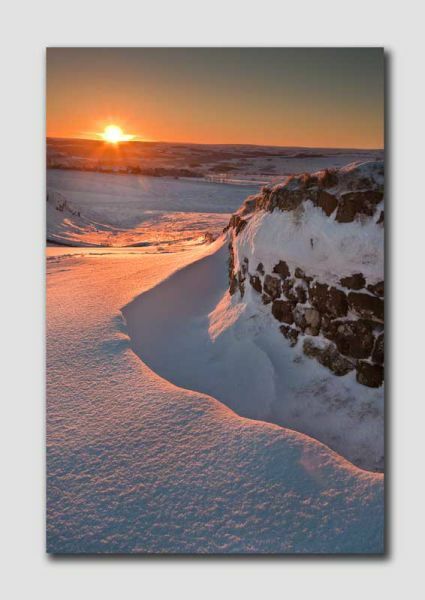 Winter Sunrise and snowdrifts of 3' up on Hadrians Wall. Canon EOS 5D mkII. 17-40mm L lens.